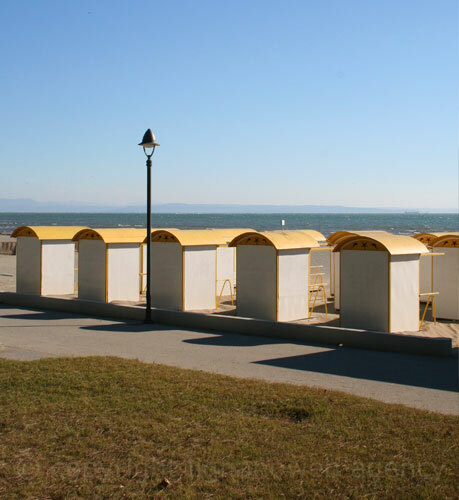 The Main Beach of Grado is, as some might rightfully believe, the liveliest and most impeccable beach in Grado. The beach amounts to some 3 kilometers in length, and it is divided into several areas, each of these areas featuring a different profile. Thus, they range from exclusive areas to a free area. A special part of the beach is dedicated to sports. Fun is guaranteed on the Main Beach of Grado, leisure opportunities being yielded by a full range of facilities. What is worth noting is this is the beach where Terme Marine of Grado is located, together with the adjoining Water Park. The Water Park is one of the most popular attractions in the entire Grado, a reference mark of the heights tourism has conquered in this resort, whereas Terme Marine is the unchallenged spa queen of the island. Parco delle Rose neighbors immediately on the Main Beach, generating a refreshing refuge for people who want to vary their beach moments with greener experiences. Furthermore, despite the fact it might seem a little redundant, the beach is also fitted with a Solarium. In fact, this is a facility for all people who want to get a complete suntan in guaranteed untroubled privacy.